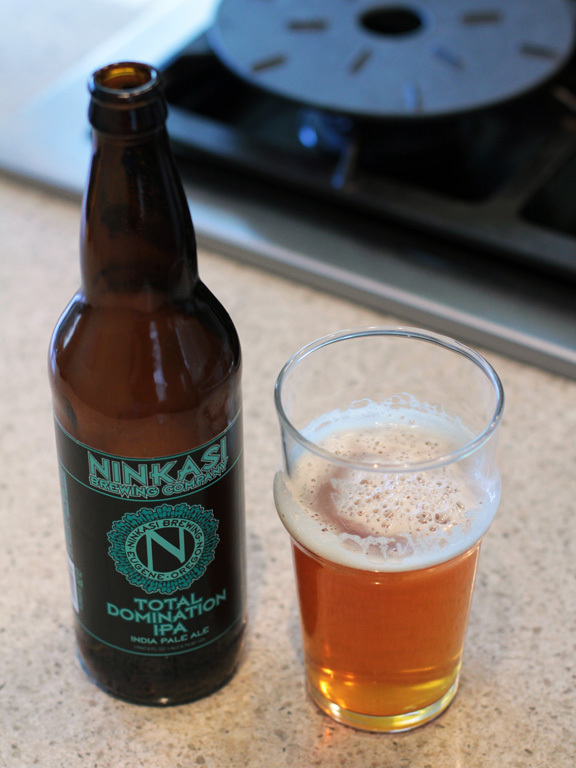 Before embarking on a labor-intensive recipe (such as this one), it’s important to ensure you are properly equipped. From time to time, we’ll try to introduce you to some kitchen tools. For now, we’d like to introduce you to the absolute basics. Proper Footwear: For time-consuming recipes, you’ll want to ensure your feet remain comfortable and pain-free. For us, this means crocs. 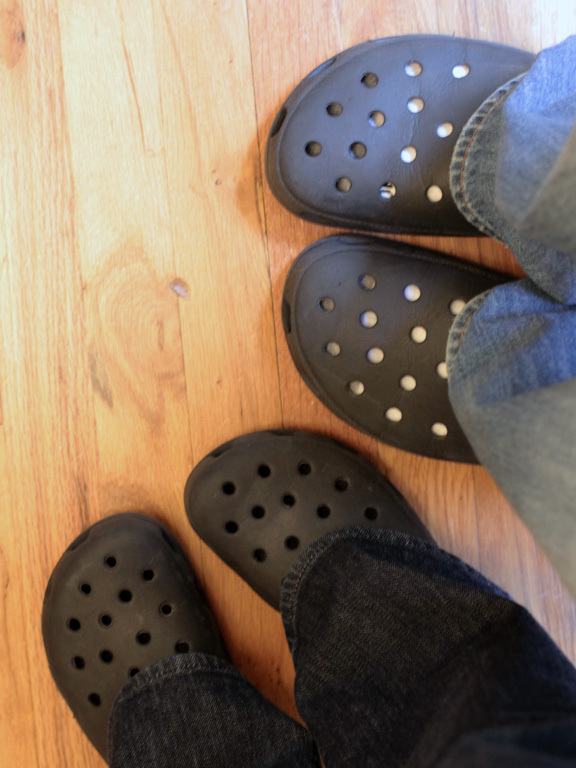 Just like our cats, our crocs are “indoor only,” not to be worn in public, by anyone, EVER. Cooking Oil: No, we’re not talking about grapeseed oil or olive oil (although they’re now finding that it does not tolerate heat well)…we’re talking about the fluids that help loosen you up for some good, creative cooking. If your craft is golfing, you know this as “swing oil.” We recommend that you find a bottle of your favorite wine or craft beer and pour yourself a nice glass before embarking on the cooking mission ahead of you. Another goal we’d like to accomplish with this blog is to introduce folks to some cooking terminology. As our repertoire expanded beyond collegiate favorites (Margie’s roommates would vouch for the brilliance of “chicken in the mud”), we’ve been forced to learn some hoity-toity kitchen terms. We thought we’d share some of those with you. 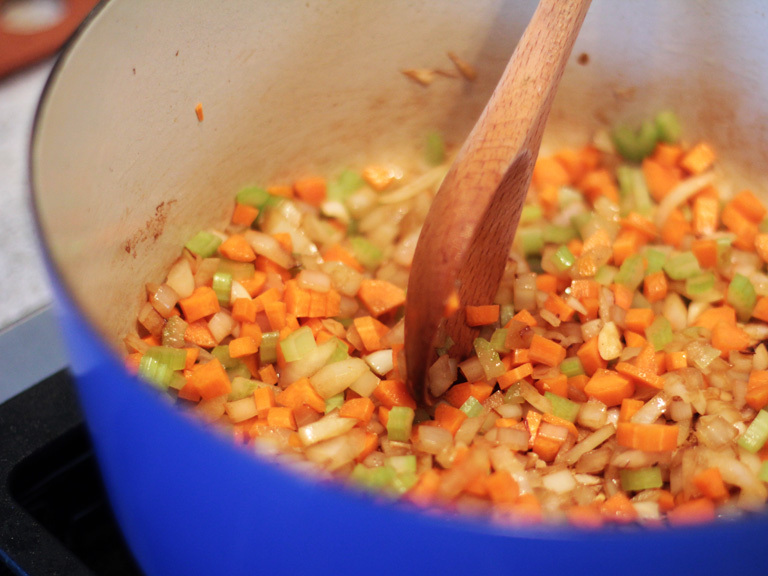 Several of the ingredients in this recipe constitute what is called the “trinity.” This describes the medley of chopped carrots, celery, and onions, often used in sauces and braises. Margie is NOT a fan of cooked carrots, but is oddly accepting of them in this somewhat camouflaged form. If you are over for dinner and hear Margie refer to it as the “trifecta” or “triumvirate”, nod in agreement, but keep in mind she meant trinity. Trim all beef ribs of excess fat and any silver skin. Season meat generously with salt and pepper, on all sides. In a heavy, cast iron pot (we used Le Creuset) heat 2 T. cooking oil over med-high heat . Add short ribs to pot and brown on all sides. Cook meat in batches if necessary. Once browned, remove from pot and discard rendered fat. Wipe pot clean. Heat remaining 1 T. cooking oil in pot over medium heat. Add garlic and onions and sauté until browned, about 5-7 minutes. Add carrots and celery, continuing to sauté for 3-4 minutes more. Add thyme and stir to mix. 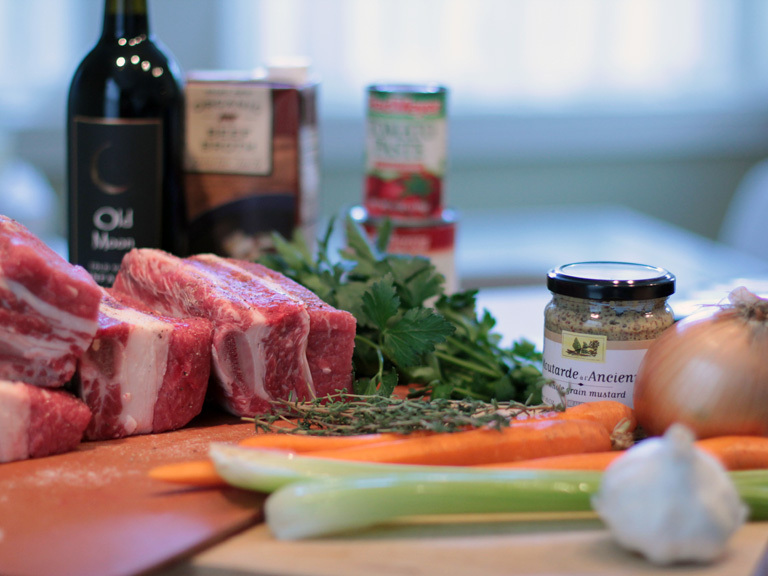 Add the wine, espresso, and half of the beef stock to the vegetable mixture and bring to a boil. Add diced tomatoes, tomato stock and mustard and mix well. When we decided to make this recipe, Mike invited our good friend Scott to join us. Mike and Scott decided the meal was worthy of one of their “big guns” wines. 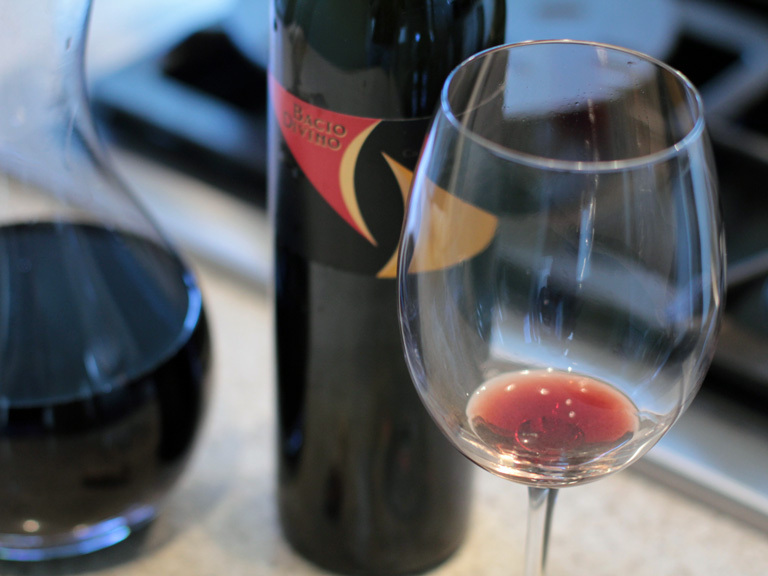 Both Mike and Scott had acquired a bottle of this fantastic wine, a 1997 Super Tuscan, Bacio Divino, years ago. We opened the first one while we were still cooking to sample the wares. While both wines were excellent, they had both aged to have very different taste profiles. Ours was fairly earthy while Scott’s was a bit more fruit forward. Both were excellent wines, and it was interesting to taste two identical bottles next to each other and compare difference, bottle to bottle. 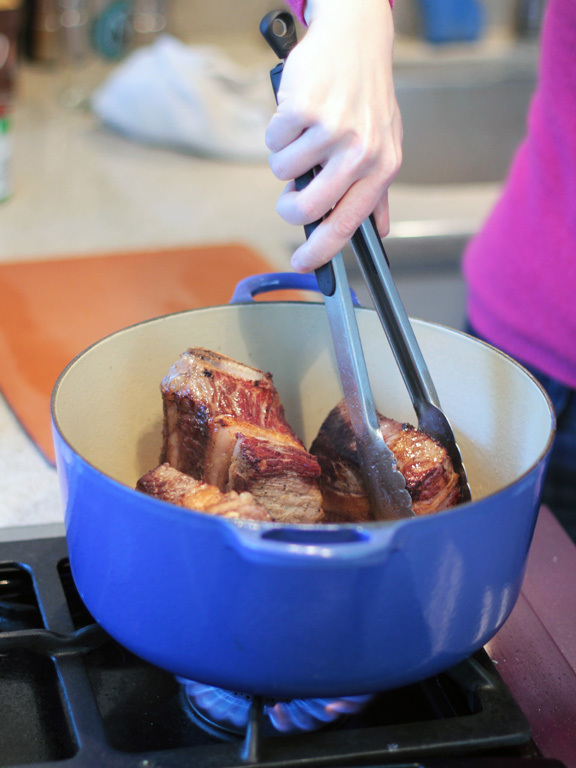 Return the browned short ribs to pot and add beef stock until all ribs are covered by liquid. Place pot in oven, covered and braise for 3-3.5 hours until meat is tender, flipping occasionally throughout braising period. Remove short ribs from pot and set aside. 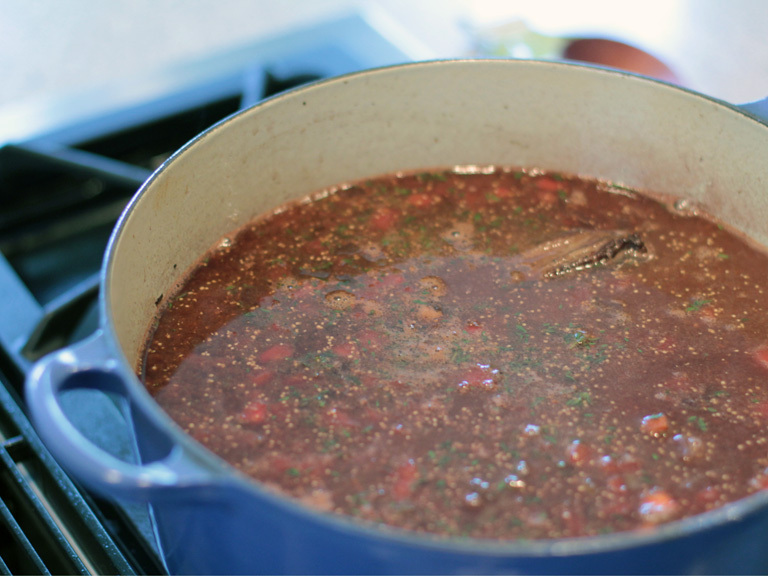 Reduce liquid over med-high heat until reduce by at least 1/3, or to your desired thickness. 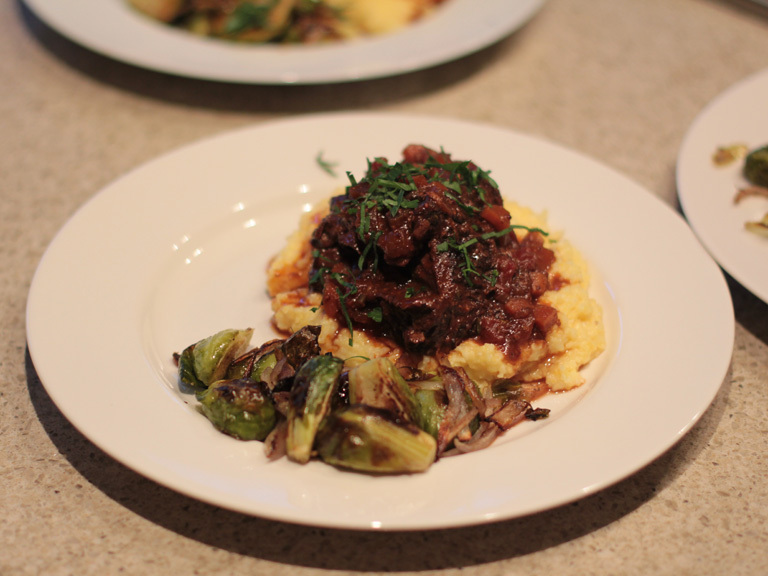 As sides to the braised short ribs, we served some Parmesan polenta, over which the ribs were placed along with some roasted shallots and Brussels sprouts. 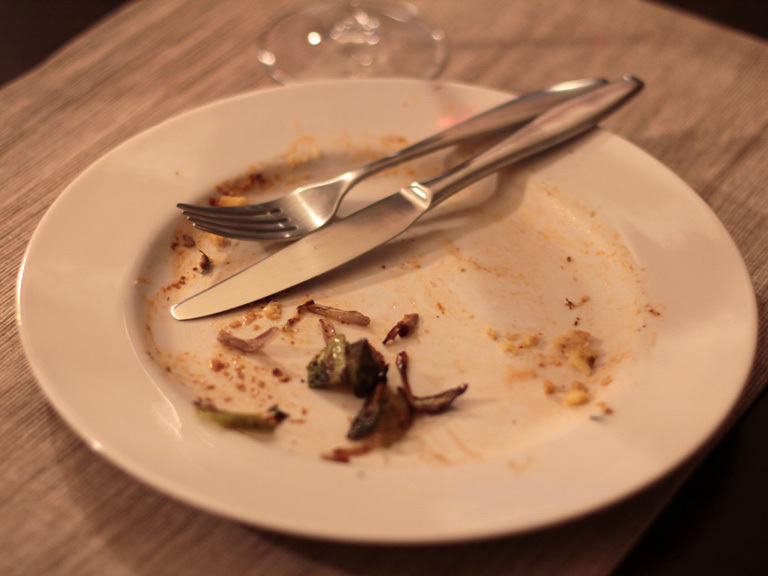 Not everyone is a fan of polenta, but Mike has been somewhat fixated on it lately, so that is what we had that night. 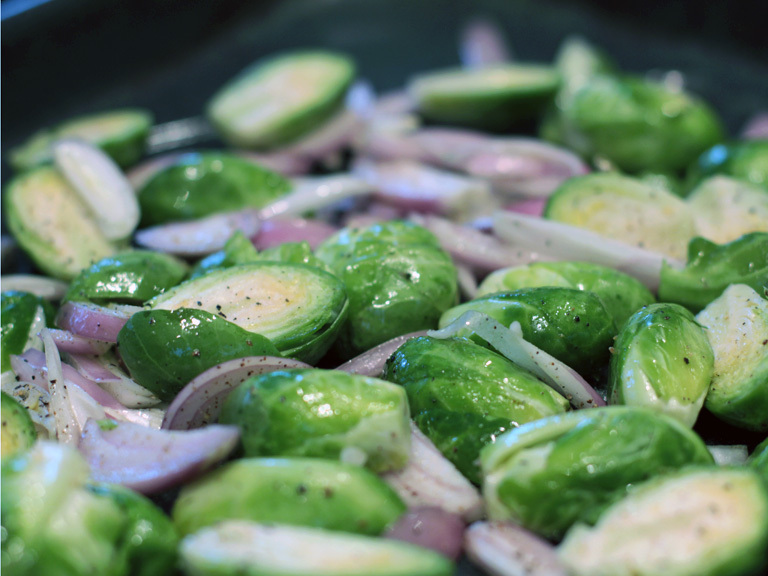 The choice of Brussels sprouts was an easy one for us, as it is one of our favorites (look for a blog post about our favorite recipe for them in the future) and simple roast vegetables satisfy Margie’s health quotient while also not detracting from the star of the show. 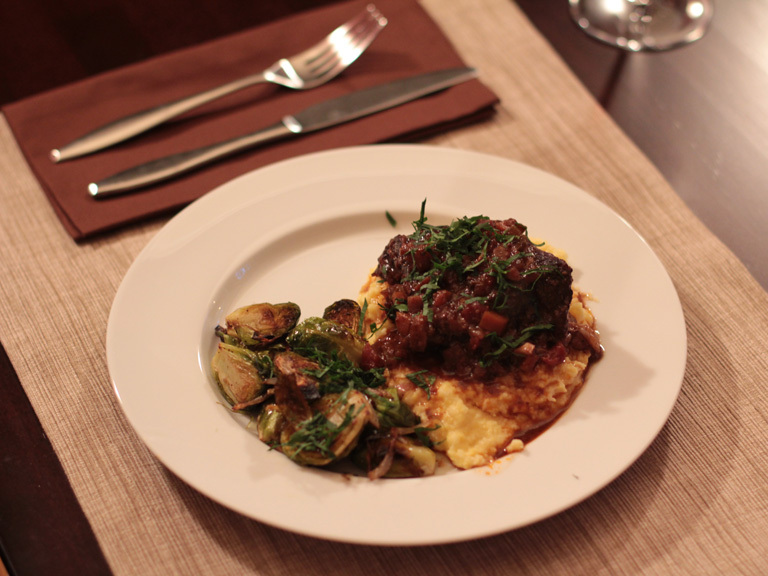 Serve beef short ribs over parmesan polenta of mashed potatoes. Drizzle with reduced sauce. Sprinkle with parsley to finish. Did I mention it was a great night?